Figure 5-37.--Types of solid dies. thickness of the pipe must be taken into consideration. than a 1/2-inch machine tap or die. Figure 5-36.--Types of common taps. a tapping operation and when tapping through holes. and dies, and how to lubricate the work. threads and are designed for use after the taper tap. use of the bottoming hand tap. threads. There are many different types of taps. where extremely tight fits are necessary. 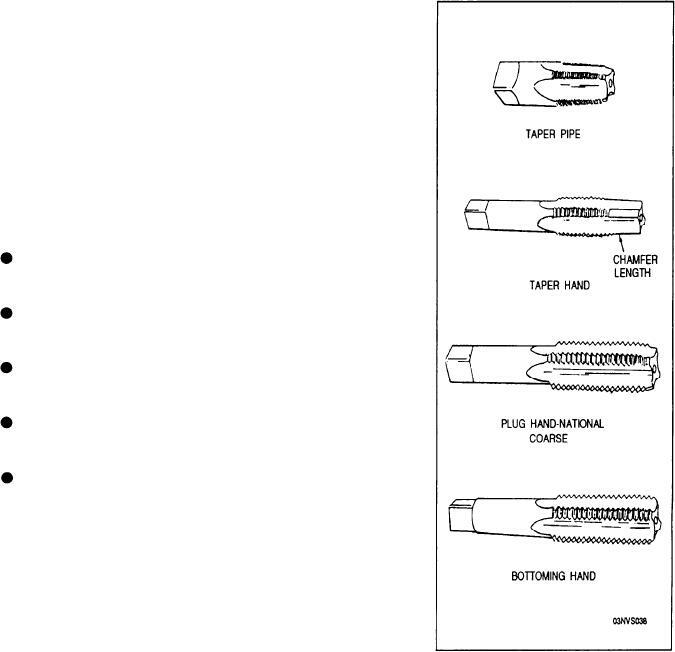 bottoming, and pipe taps as shown in figure 5-36.